We’ve updated the Student SMS functionality in Learning Space to facilitate sending of group texts. 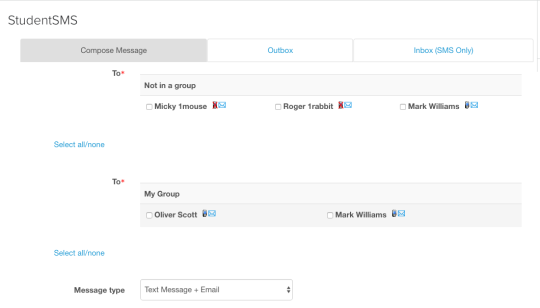 So if students have added their mobile numbers to their profile and you have groups set up in the course/module you will be able to send a text to a group. You might use this to contact project/year groups and each message is logged, so you have a history of the text and when the text was sent. Contact the team for more information on getting Student SMS set up.